Formed by established national leaders in community association management, Innovia is dedicated to providing companies like Avalon Management - and its clients - with an unparalleled level of service, volume purchasing power and a breadth of experience that far surpasses established standards in the Association Management Industry. 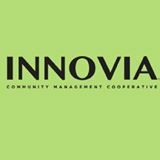 Due to our experience, training and resources, Innovia knows that each community has unique needs, and we are proud to say that we serve more than 1.5 million residents in over 3,000 communities across the United States. Being locally owned, but with national resources, we are the only company that can provide the breath of services and cost savings while keeping your hard earned HOA dollars in the local economy and supporting local employment - from the post office to the hardware store. Avalon Management provides a benefit for our communities’ residents; Savings 4 Members! With this exciting program you have access to savings on flooring, kitchens, baths, and paint, as well as discounts on travel and other goods and services. Homeowners can log onto their account from the "My Account" tab and click "Useful Links".